On July 30, 1944 the division was attached to the 9th Army assigned to the ETOUSA (European Theater of Operation of the US Army). The advance party of the Division leaved the USA and arrived in Glasgow on July 31, 1944 to prepare the arrival of the entire division. 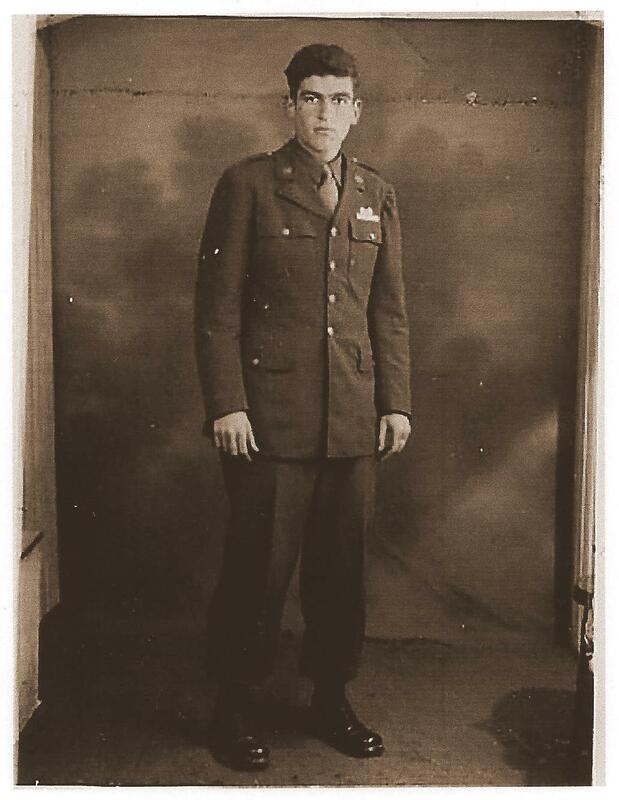 In August the training was finish and on August 14 the unit received order to make a secret movement toward Miles Standish Camp in Tauton (near Boston), Massachusetts. It arrived on August 16. In that place it prepared its travel for England. On August 30, 1944 the Division took position in its new location at Chiseldon Camp near Swindon, Wiltshire. The 194th Glider Infantry Regiment was assigned in the vicinity of the village of Ogbourne Saint George. 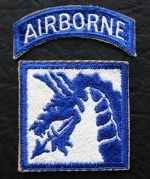 In August 12, 1944, the Division was integrated in the XVIIIth Airborne Corps. 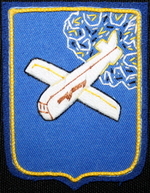 Shoulder sleeve insignia of the XVIIIth Airborne Corps (TFH collection). In September the unit was placed in reserve during the operation Market Garden. The men were in alert and were ready to climb into the planes to help their friends who fought in the Netherlands. After one week the Supreme Headquarter renounced to send up the Division to reinforce and the order alert was suppressed. The training restarted up to December. The Division realized its first overseas review on November 15, at Chilbolton Field in presence of Lieutenant General Lewis Brereton, Commander of the First Allied Airborne Army, Major General Matthew B Ridgeway, Commander of the XVIII Airborne Corps, and Major General Paul L Williams, Commander General of the Troop Carrier Command. Charles Davis - Company "C" 194th GIR (unpublished photo with courtesy of Charled Davis). These members of 194th GIR strike a pose in Swindon during autumn 1944. 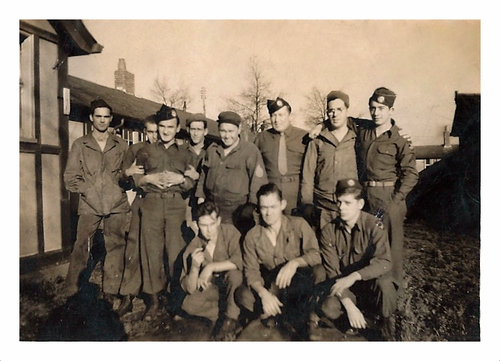 The third man standing on the right is Harold A GRUBEL. (unpublished photo - TFH collection). Click on the pic to enlarge.